Cynthia Selby is a Senior Teaching Fellow in the Education School. 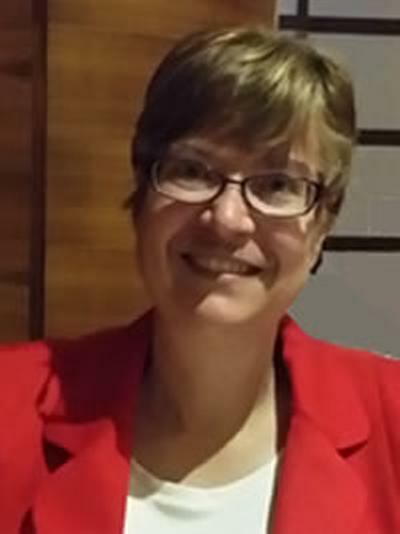 She has considerable experience in teaching Computing and Computer Science at secondary and post-16 institutions. She has held a variety of qualification design and senior assessor roles for awarding organisations. She is a member of Computing at School and contributes to the assessment working group. Her first degree is in Computer Science. Before joining the teaching profession, she worked in industry as a software engineer, a network manager, and in database management. The subject of her PhD was the interrelationships between computational thinking and programming. Her current research include computational thinking, the pedagogy of programming, and assessment in general. Selby, C. (2017). Can you really use multiple-choice questions to assess programming and computational thinking? Hello World, Autumn Term 2017(3), 24. Selby, C. (2015). Computational thinking blooms. ITTE Newsletter, 74, 6-9. Sentance, S., Selby, C., & Kallia, M. (2018). Assessment in the computing classroom. In S. Sentance, E. Barendsen, & C. Schulte (Eds. ), Computer Science Education: Perspectives on Teaching and Learning in School (pp. 151-166). London: Bloomsbury Academic. Selby, C. (2012). Promoting computational thinking with programming. Paper presented at The 7th Workshop in Primary and Secondary Computing Education (WiPSCE), Germany. Selby, C. (2011). Four approaches to teaching programming. Paper presented at Learning, Media and Technology: a doctoral research conference, United Kingdom. Csizmadia, A., Curzon, P., Dorling, M., Humphreys, S., Ng, T., Selby, C., & Woollard, J. (2015). Computational thinking - a guide for teachers. Computing At School.